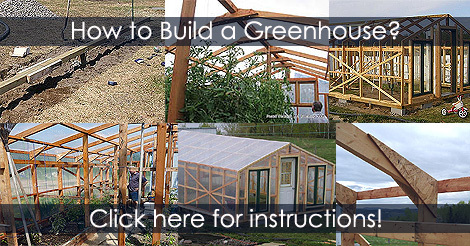 Strong winds can lift a greenhouse. 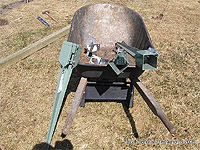 That is why it is necessary to anchor the base of a backyard greenhouse. 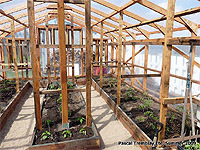 Build a garden greenhouse on a base attached on ground posts avoids building a concrete foundation. Easy to install and sturdy. 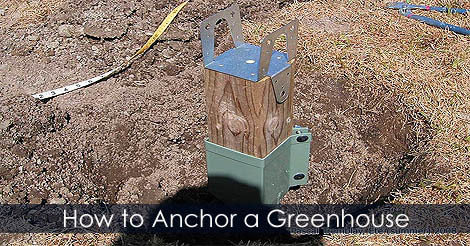 Learn how to secure your garden greenhouse with greenhouse anchors and ground posts.